The open air museum of Oerlinghaus set the scene for this years SAGA Grand Melee. 28 protagonists took part in this event that was exellently staged by “Sir Wennig” of Stronghold Terrain. The dark age longhouse proved the perfect setting for this two-day event. My brother and I have taken up playing SAGA some time ago. We are both looking forward to the SAGA Grand Melee in Oerlinghaus next weekend. Incidently today is my brother’s birthday. So what better idea could I have but to augment his fierce Norse Gaels presenting him a new warlord with a two-handed axe. I sure hope I won’t need to play against him at the tournament. The Gall-Gaedhil or Sons of Death are painted. It’s about time to present them to the public – and to any timid enemy of course. With the SAGA Grand Melee 2015 coming up the pressure rises to finish the SAGA figures that I have already cleaned and now are patiently waiting to be painted. This gives me the opportunity to explain how I paint my 28mm white metal figures. I am well aware that most people have their own painting techniques, but I also remember that I was always keen to read about other peoples ways to learn. 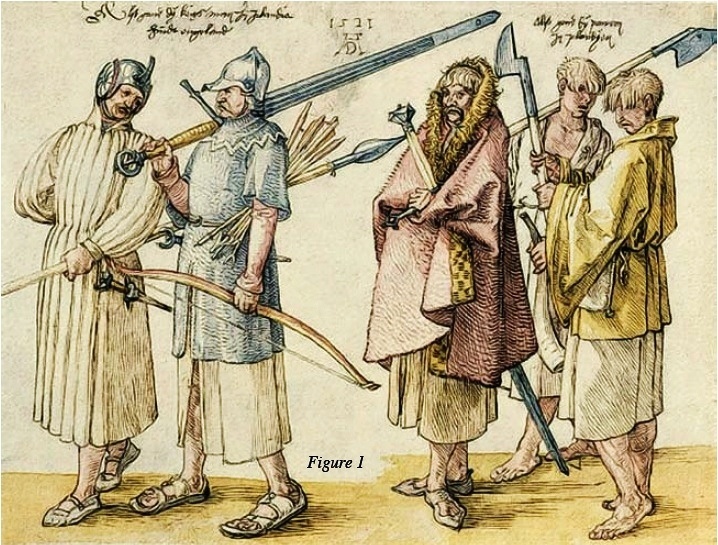 The figures I am going to paint are the Sons of Death, a group of Norse-Irish mercenaries. A SAGA tournament will be held in September at the outdoor museum Oerlinghausen. And my Anglo Danes and I, we are going! It is said that the games are going to be played in the Merowingian longhouse below. I shall bring along a candle. You can find all relevant information at »Deine SAGA startet hier!«. Obviously we will need to prepare for the event. I hope I can play a few games for exercise. As the tournament asks for a 6 point warband, I will probably take along all my Danes with no mercenaries. As an alternative I could substitute 2 points for the Gall Gaedhil. I would probabely leave behind one group of the heathguards and the slingers. And of course it would motivate me to paint the mercenaries at last. 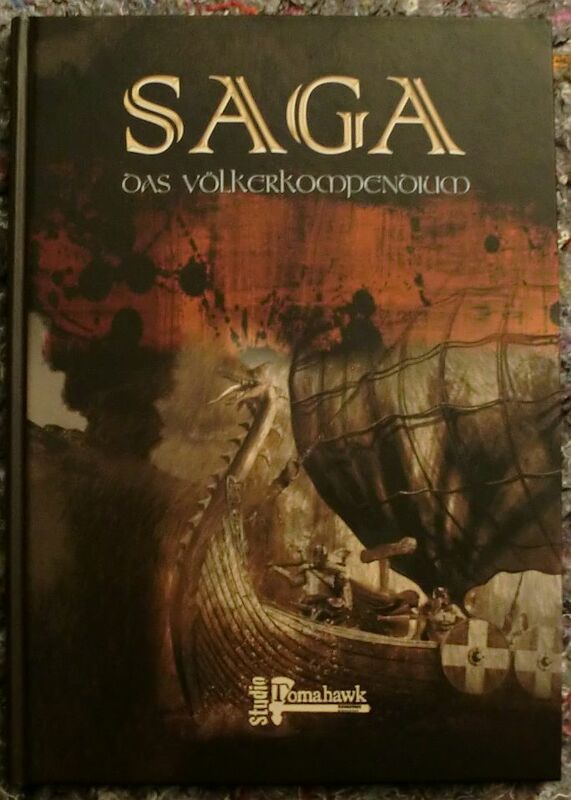 Today the new SAGA Kompendium arrived together with the 2015 calendar promised to come along with the first 200 pre-orders. Also I received the long awaited Gall -Gaedhill swords for hire. These guys will serve as an 2 point option for my Anglo-Danes or as a boost to full 6 points for the Irish. I like to invite you to a quick first glance at the book, the battle boards, the calendar, and the figures.